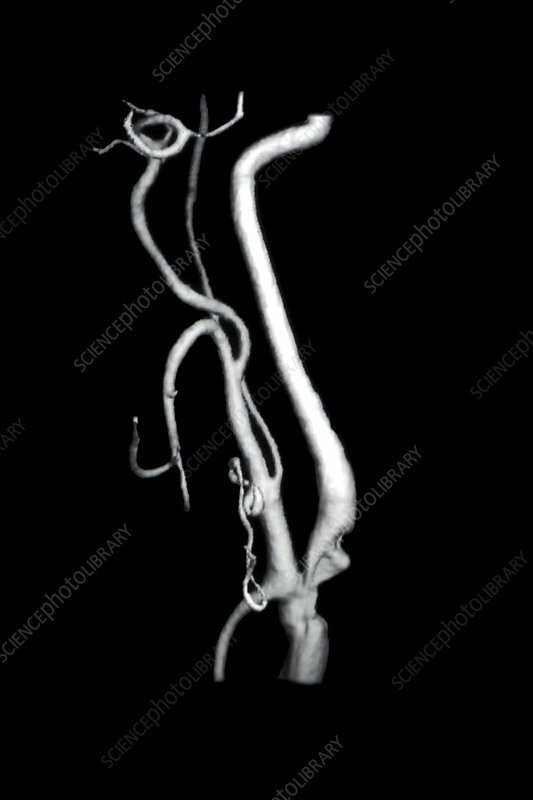 The image shows severe arteriosclerotic plaque buidup in the internal carotid artery (supplies the front of the brain) in a patient who suffered a stroke. The buildup of the plaque narrows the inside of the blood vessel which can impair flow to the brain. Within the plaque there is an excavation (ulcer - like in the stomac) which indicates a complicated plque which has a higher incidence of causing a stroke.